Neil Young, Lukas Nelson and Promise of the Real play surprise show at SLO Brew!!! Todd and Korie Newman of Good Medicine Presents dropped a super secret show on SLO Town on April 16 when they welcomed Neil Young to SLO Brew. Young, backed by Willie Nelson’s son Lukas Nelson and his band Promise of the Real, delivered two sets of environmentally focused and socially conscious rock to a sellout crowd that quickly lined up around the block as news of the last-minute concert spread by word of mouth. THANK YOU, GOOD MEDICINE PRESENTS! 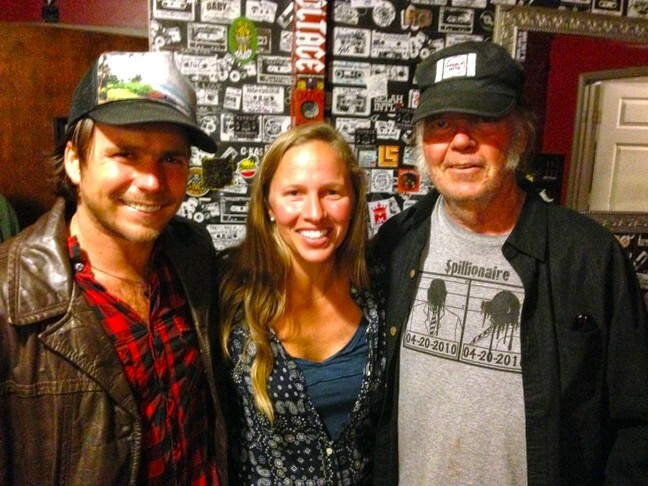 : Willie Nelson’s son Lukas Nelson (left), Good Medicine Presents co-owner Korie Newman (center), and iconic rocker Neil Young (right) joined forces to play a last minute, secret concert at SLO Brew. 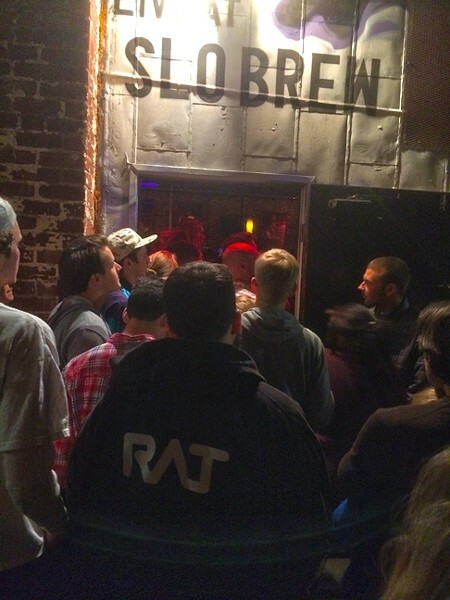 Those who couldn’t get in gathered in the alleyway to listen to Young through the side door, and what they heard was Young rail against his pet causes, from corporations to GMO manufacturers. Monsanto basically got punched in the face by Young’s songs. What’s amazing is no one seemed to know about the concert until the very last minute. Tickets for the lucky 350 or so fans who got in cost just $10 at the door. Young wore his trademark fedora and delivered incredible guitar work and his signature vocal sound. Fans packed around the stage, and even trying to get through to the bathrooms proved a struggle, but the crowd was friendly and frankly blown away at what they were witnessing. TEAM WORK! : Lukas Nelson and his band Promise of the Real backed Neil Young at SLO Brew and on his recent album and tour. Lukas Nelson and his band were tapped to work with Young on his new album and tour, and their recent touring has honed them into a tight band. This is a show no one in attendance will soon forget. 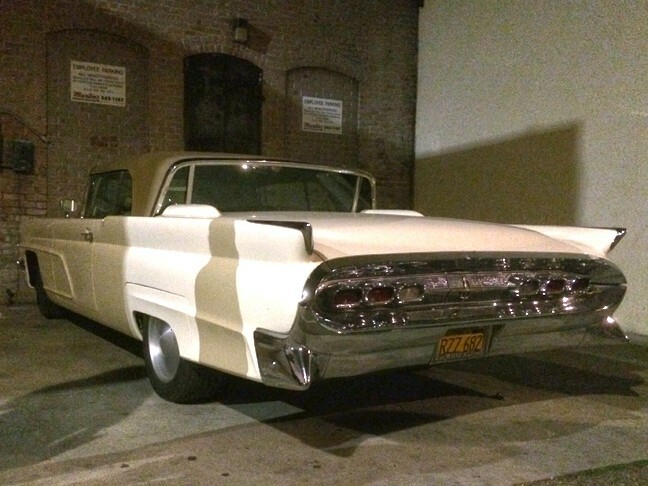 Parked in the alleyway was Young’s 1959 Lincoln, and after the show, he and his paramour actress Daryl Hannah (Kill Bill, Splash, Roxanne) got in the car and sped away into the night, leaving gawkers spellbound at what they’d witnessed. 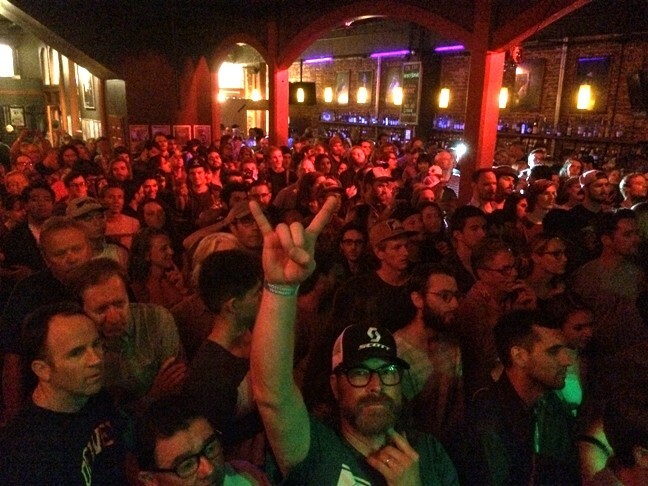 It was a fittingly amazing night as Todd and Korie Newman’s run at booking SLO Brew shows comes to a close. Their contract is up at the end of July, but they promise to continue to bring great shows to the area. SOLD OUT! 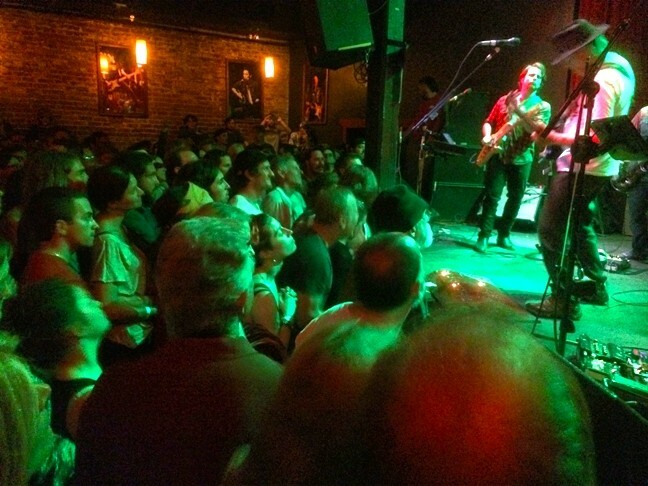 : The house was packed for the secret Neil Young show, news of which was spread by word of mouth only. LET US IN! : Those who weren’t in line soon enough to buy one of the $10 tickets gathered in the alley to listen to Neil Young. 1959 LINCOLN! : Neil Young’s classic 1959 Lincoln was parked in the alley, and after the show, Young and his paramour actress Daryl Hannah got in and sped off into the night, leaving onlookers spellbound.